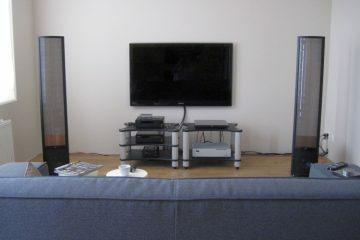 Review sample kindly supplied by AudioAanZee, dealer for Accuphase in the Netherlands. 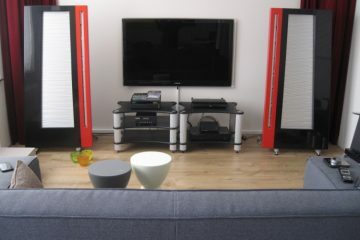 When Evert of AudioAanZee brough his new Reference Flow music server, he also brought along the new Accuphase DC-37 DAC. This was very interesting for me because unlike the Jeff Rowland Aeris, the DC-37 plays any audioformat up to 32/384 PCM and up to 5.6448Mhz DSD. Because the AudioAanZee Reference Flow server plays virtually all formats as well, this was going to be the first time to hear it play such hi-res files. 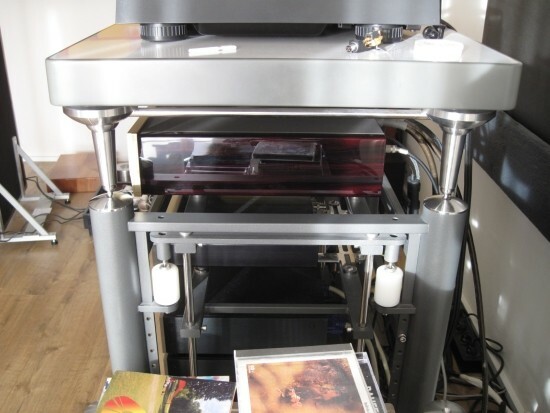 I placed the DC37 in the Artesania rack directly above the Aeris. It was connected with a Harmonic Technology Pro-ACII powercable and Cardas Hexlink Golden 5C XLR interlinks. 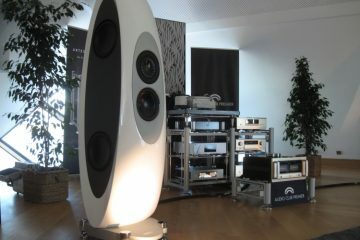 Listening started with plain vanilla CD based files played on the AudioAanZee Reference Flow music server. Connection to the DC37 was via Audioquest Diamond USB. and analog connection to the Coherence II preamp was via a Cardas Hexlink Golden 5C interlink. 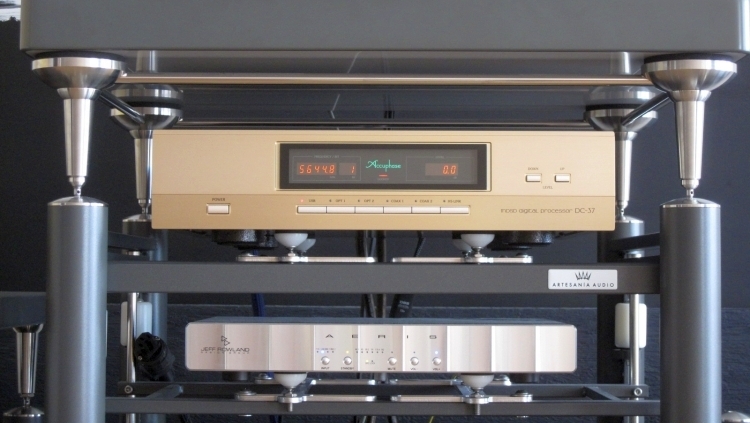 It was quickly evident that the Accuphase plays in the reference league. It has superb transparency and resolution, with fluid, airy and extended treble, a natural midrange and fast and articulate bass that avoids sounding dry. Its overall sound is very neutral but definitely not clinical. Importantly, timbre is spot on. The latter for me is a dealbreaker: if a component sounds “artificial” or “synthetic”, I simply cannot bond with the music emotionally, no matter how good the component is technically. 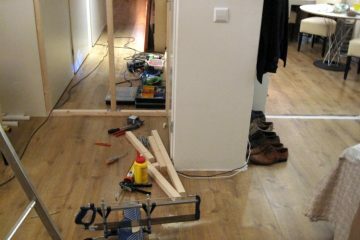 As with any audio component, obtaining the right balance takes some effort. The DC-37’s core sound is always transparent and airy, with a wide soundstage and with excellent focus. These aspects are always present, no matter what cables are used. But if the right cable match is found, this is rewarded with a fuller bass, a richer midrange and an overall more “magical” sound. It being very transparent and neutral, it can sometimes lean slightly to the polite side, but not overly so, as long as lively cables are used. The Hexlink is quite lively but in this light, the smooth and mellow Harmonic Technology powercable is not a good match with the DC-37. A much better match was found in the Reference Tweaks Gold Label (no longer available), which is in essence an enhanced Furutech Alpha 3. A normal Furutech Alpha 3 was also tried and this offered similar dynamics and transparency as the Gold Label, but not its fulness of sound. However, a better cable would come along… more about this can be read further down. The DC37 is lavishly finished, with highly polished wood side panels and a very informative display that shows not only samplerate, but also bitrate, and is clearly legible even from 7 meters distance. 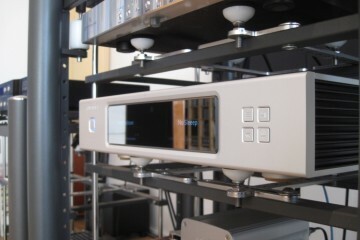 It is a dream to operate, has many inputs and plays virtually any bitrate and samplerate. What I found interesting to note was that the DC-37 sounds fuller and richer than I remember either the DP400 or DP410 CD players to sound. The DC-37 seems to have taken on some of the luxuriousness so typical of Jeff Rowland products, while maintaining its Accuphase-typical neutrality. 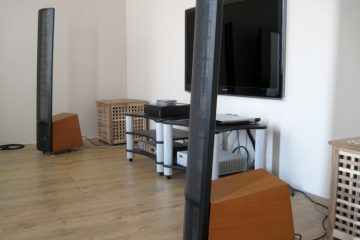 Near the end of this review I received an impressive powercable for review by the name of Powerblast from Mamba Audio. 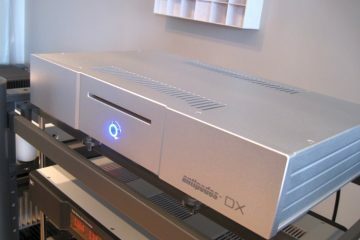 I’ll state upfront that its price is prohibitive, but its match with the CD37 really is exemplary, placing the DC37 all the way to the top of the list of best DACs I have heard so far. I mentioned above that the DC37 likes lively sounding cables, but that one needs to be careful not to go overboard with too bare-sounding cables, which made the now discontinued Gold Label the best match so far. Enter the Mamba Audio, combining two seemingly eternal opposites, bringing layers of smoothness and richness, as well as providing fuller bass, without losing any dynamic expression! Combined with the Mamba Audio powercable, the DC37 sounds gloriously rich, even richer than the Aeris in fact, and with better soundstaging and focus. To put the DC37’s inherent sound into context, let me draw some comparisons using the Rowland Aeris. 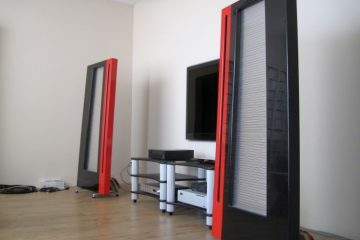 First it should be noted that the Aeris deviates from the Rowland sound of old in that it sounds very powerful in the bass and has enormous dynamic drive. Many Rowland components are more reserved and less “in your face”, and this is exactly where the Accuphase differs most. 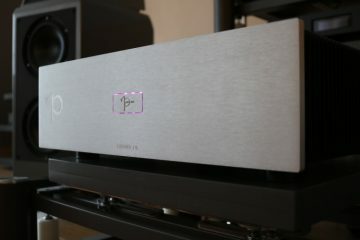 Where the Aeris can sound even a bit too bold, especially when matched with cables that are too lively, the Accuphase is very well-behaved and will never shout, and this is why I feel it needs to be partnered with neutral to lively sounding cables. However, it is important that the cables used still have some colour and body, otherwise one starts losing some of the natural richness that is present in the DC37’s midrange. The Furutech Alpha 3 for example brings out the DC37’s dynamics very well, but makes it sound less rich than it could do. The Mamba Audio Powerblast forms a superb match, but at high cost. But even with less esoteric cables, the DC37 has many traits that make it stand out from the crowd, such as extremely high resolution throughout the frequency band combined with utter neutrality and very natural timbre. Moreover, in the areas of resolution and treble it outperform the Aeris by quite a margin, especially with hi-res recordings. The DC-37’s bass is very articulate, but less forceful in turn, which combined with its more polite character can sometimes make it sound less “live” than the Aeris. But there’s validity in both presentations. 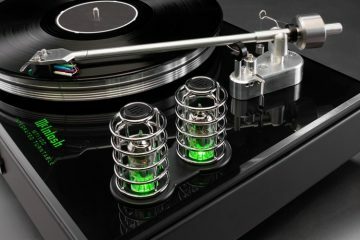 While, perhaps due to my choice of speakers, I quite like components with a lot of character and some extra bass, one could argue that this deviates from neutrality. Either way, these things are a matter of taste, and the final balance is always highly dependent on cable- and system matching. The DC-37 plays DSD files up to 5.6448 MHz (1-bit 2-channel) and PCM files up to 384 kHz (32-bit 2-channel), and indeed all hi-res files I tried play without any problems, even DSD. The latter certainly sounds very open and superbly airy, but with these hi-res files the quality is very much dependent on the source, even more so it seems than with CD recordings. This seems like an obvious statement, but I find that while some files do indeed sound spectacular, many of the high res files I have don’t sound as good as their regular PCM 44/16 counterparts, and I think this is because many of them are simply upsampled or reprocessed otherwise, rather than taken from original analog or hi-res masters. It’s just a hunch – I don’t have any proof for this, and there might be other variables, but this being the case for me at least, makes me not place an emphasis on hi-res in reviews. Suffice to say that with the Accuphase, as with any DAC or SACD player that I tried, DSD sound is very airy, but thinner than their 44/16 counterparts. I have a few test files from the same DSD source that are recorded in various bitrates and sample rates, starting at 44/16 PCM, via hi-res DXD and ending at 5.6448 MHz DSD, and with any DSD capable DAC so far, for me the sweetspot is 24/96 – 24/192 PCM, and more often than not, full doubles of the original 44.1 master such as 88.2 kHz or 176.4 kHz sound best, unless the master was 48kHz of course, which is when 96 kHz or 192 kHz would likely sound best. Your mileage may vary, but the point is that the Accuphase has no problem playing any of these files. 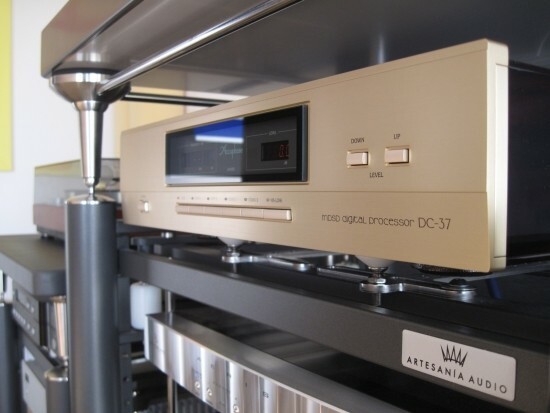 Many DACs I used in the past took two steps forward and one step back again when connected to a source via SP/DIF: bettering the sound by having a better DAC and output stage and taking a step back again due to penalties taken in unravelling the clock and audio from the stream. Usually the sound would be more subtle or more detailed, but PRAT and/or soundstaging would suffer, compared to using integrated players. 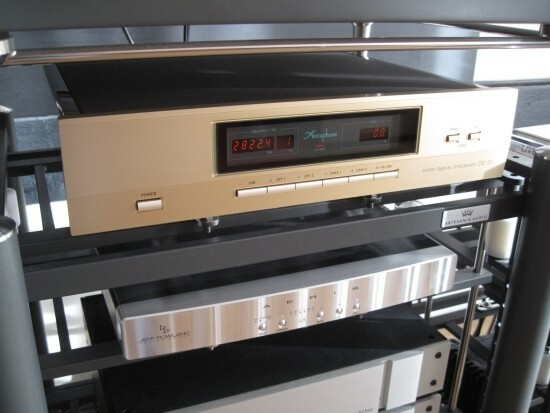 The Aeris was the first DAC I heard that I found to better the integrated Levinson 390S CD player by sounding better across the board in spite of SP/DIF, which is when I decided to set the 390S aside and use a 37 transport instead. The Accuphase DC-37 is the second DAC that I heard do this trick, and it is also very uniform in its behaviour: it sounds the same playing from the CD transport as it does when playing music from the music server, and in either configuration PRAT is all there, 100% intact. Soundstaging is very good too. The Aeris is still fuller in the bass and lower midrange, but when playing bass-rich tracks, the more neutral DC37 now seems to show that perhaps the Aeris is a little bit overly full, almost bombastic sometimes. 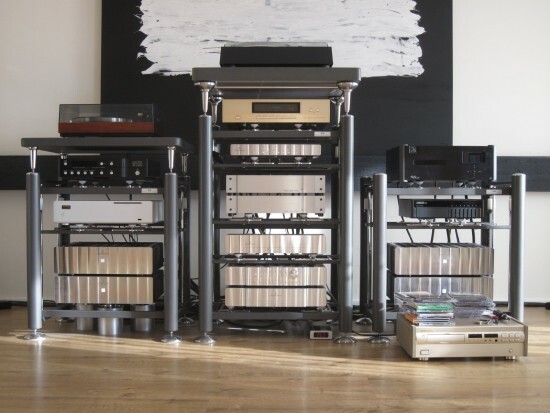 This does seem to correlate with my earlier findings with the Wadia 861 and Levinson 390S, which show that I often tended to prefer fuller sounding components. Compared with these oldies, the DC-37 is more even-handed and coherent in the bass, without sounding bass-light, being just spot-on. 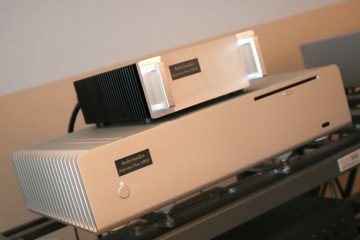 The DC-37 is a lavishly finished DAC that just oozes class. It is a dream to operate, has plenty of inputs (even HS-Link) and quickly locks onto any source and any fileformat, and it also offers excellent volume control. 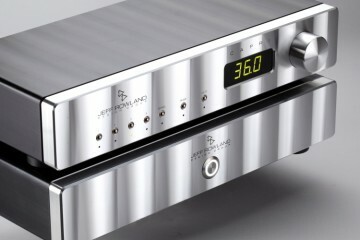 Its sound is nimble and articulate and the DAC entirely avoids sounding either bloomy or sterile. The DC37 has superb resolution and a very natural timbre, and it is neutral in the best possible way. Compared to the DP400 and DP410 CD players the DC37 adds a dose of velvety luxuriousness and has the capability to fill the room with ambiance and deep soundstaging. Thank you for your test and review. Do you compare AERIUS with DC37 with the Jeff Rowland PSU or without ? This was before I had the PSU, so Aeris on its own. Thank you very much. I have seen that with PSU, Aeris is very very musical.